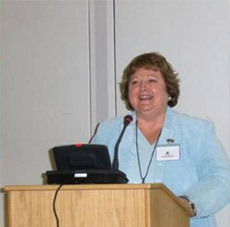 Cynthia Waddell, a pioneer in developing and advocating for legal theories to support website accessibility for people with disabilities, died on April 3, 2013. In 1998, two years before the first Structured Negotiations web accessibility settlement, eight years before the Target web litigation was filed, and long before the U.S. Department of Justice stated its intention to issue web accessibility regulations, Cynthia wrote an article explaining the legal basis for universal design in the development of webpages. Before Twitter and its ubiquitous #a11y and #ux hashtags, Cynthia was an international advocate for an inclusive web, open to all. Before LFLegal.com and before the LFLegal Twitter account and curated email lists, The Law Office of Lainey Feingold relied on ICDRI to publicize Structured Negotiations settlements and press releases on Talking ATMs, accessible websites and more. Cynthia, and her ICDRI colleague Michael Burks, were always generous and supportive of Structured Negotiations as an advocacy method. Cynthia was also a frequent speaker at the CSUN International Conference on Technology and Persons with Disabilities, doing legal presentations about web accessibility before Linda Dardarian and I began our annual Legal Updates. You can learn more about Cynthia Waddell and her work to advance digital inclusion on the ICDRI website. You can also read a 2009 interview with Cynthia Waddell. Yet today, Santa Clara University Law School employs one of the most anti-web accessibility law professors in the country. Eric Goldman, author of the Technology and Marketing Law Blog, is a Professor of Law and Director of the High Tech Law Institute at Waddell’s alma mater, Santa Clara University Law School. Through his blog, Goldman advances legal (and political) theories designed to deny people with disabilities the legal support needed to ensure an inclusive, usable and accessible web. Fortunately the court in the Massachusetts Netflix case and the U.S. Department of Justice and other legal scholars disagree with Goldman. And, through Structured Negotiations web access settlements, many of the country’s largest corporations have recognized the value of web accessibility without fighting about legal issues at all. Still, the next generation of students at Cynthia Waddell’s alma mater deserve better.